A demonstration took place in Serui on 9 August 2012 to mark World Indigenous Peoples’ Day. After the military dispersed the demonstration by firing into the air, they arrested at least six people. Of these, two men were held to face charges of treason and incitement in court. They have reported that they are still experiencing health problems as a result of the beatings they received when initially arrested. Over the past four months, eleven West Papuan people have become political prisoners. The case profiles included in this update are listed in chronological order of when they were arrested between March to June 2018. Police violated the domestic procedural criminal law in all cases, mainly regarding the obligation to provide letters of arrest and detention. Ill treatment was also present in cases involving people thought to be freedom fighters. 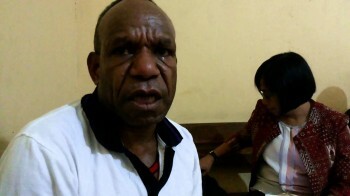 This Papuans Behind Bars update focuses on exposing police and military intimidation of West Papuan students and civil society groups outside of West Papua between September and December 2017. More than 40 organisations in West Papua, Jakarta and worldwide have brought their analysis on the human rights and conflict situation in West Papua together. The executive summary of the 218-pages report explains how several human rights standards have deteriorated over the last two years. The report is compiled by the International Coalition for Papua (ICP) and the German Westpapua-Netzwerk (WPN).